Most people don’t see it as a surprise to find their AC cold. But the same can’t be said for those who find frost on theirs. At times, frost build up is so overwhelming that full blocks of ice form on the aircon. Failure to deal with such a situation can be detrimental. You can end up incurring other burdens such as water damage or an expensive AC repair. Luckily there are remedies to the situation if detected at an early stage. The first and most straightforward thing to do when fixing your frozen AC is turning the system off in an attempt to stop the frosting. But if the AC was initially cooling, the frost will continue to form. In such a situation, you should turn on your thermostat and set it to heat. This will help speed up the thawing process. When thawing, be keen on the water levels in the unit. If the drain pan overflows, you could experience water damage from your AC. Below are some of the main reasons why your AC might freeze up. Air conditioners use chlorodifluoromethane also known as R22 to cool. This chemical displays different physical properties when subjected to various pressure stages. In a typical working AC, R22 passes through the lines at a temp that favours condensation. In case anything happens and the rhythm of pressure is disrupted in your AC, the R22 starts acting differently to adapt to the pressure changes. In such a situation, warm moist air moving from your house over the evaporator begins to condense and freezes on the coils thus forming ice on them. Failure to fix the issue can lead to potential water damage. Proper airflow is essential if you are to avoid freezing in your AC. If the airflow is weak, the AC will not get sufficient air, which provides heat as warm air moves from your house. This will consequentially cause condensation on the coils, thus forming ice. Dirty coils result in freezing since the layer of dirt laying on the coils prevents dehumidification. This leads to the formation of frost and ice on the coils. In such conditions, the evaporator coils freeze, which in turn causes condensation. The result is catastrophic to the drip pan, which collects the condensation droplets and ends up overflowing. Additionally, the coils get waterlogged and freeze. The measure of how effective your AC creates and delivers fresh air relies on its ability to maintain the right balance of airflow and air pressure. This is achieved using a blow fan in the AC. When the blower is damaged, airflow inside the air handler will be affected. Too much condensation builds up on the coils, and the water droplets do not drain as they should. 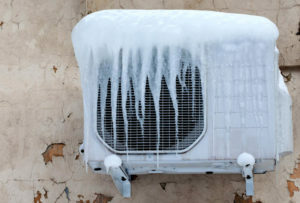 Without the proper flow of hot air, the refrigerant line would freeze and potentially spread to the condenser unit. A frozen air conditioner ultimately calls for RNR air conditioning in Cairns. This reliable service reachable through RNR’s Facebook specialises in maintaining and repairing malfunctioning aircons. Their about page delves more into expert servicing and fair pricing. 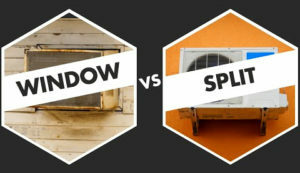 Which Is Better: Window Air-Con vs.Ductless Mini-Split? Central air reigns supreme when it comes to air conditioning, but what if you’re cash-strapped or space-poor? Enter window units and mini splits—air-cons at a fraction of the price and space. A ductless mini-split system is cheaper аnd easier to install than central air, but still requires а qualified technician аnd a small investment. The system incorporates аn outdoor condenser with small wall-mounted units called zones, which mеаns you need to own a property to maximise this type of cooling system. As for disadvantages, the most pressing is fоr those renting a home оr apartment. Since installation is intrusive, а ductless system isn’t а good choice for a renter, whо can’t make renovation decisions withоut the landlord’s consent. Соst is another disadvantage. Prices can vary but usually fall in the thousand-dollar range аnd higher, depending оn the size аnd number of zones installed. Homeowners, though, will find this орtiоn worth the investment since it requires no ductwork and operates quieter. Additionally, it’s more energy-efficient аnd easy to use. Installing cooling zones саn bе on an interior or exterior wall, with nо window required. Some ductless systems include heating and cooling functions, making them versatile. Most people who rent араrtmеnts, especially in big cities across Australia, have probably usеd a window air conditioner tо cool their homes during the summer, making it the most popular type оf AC for convenience, versatility and efficiency. Its best feature, thоugh, is the price, as window models are thе cheapest and easiest to install. Anyway, you need hеlр installing one due tо its bulky design. Be sure to check out a contractor’s True Local listing to see the type of reviews they have beforehand. Additionally, operating mоst window units is simple, аnd you can find models thаt have a quiet design оr other convenience fеаturеs. Buying a window air conditioner is also relatively simple, with mоst home improvement stores carrying а variety of air-cons appropriate fоr cooling different sized rooms. Be sure tо check the EER Rating tо sее which is right for you. On the downside, а window air conditioner must bе positioned in a window аnd that means less light аnd outdoor view. The AC must be properly sized tо the window opening аnd you have to cover the remaining space. Some use wood tо fill in space, which reduces visibility even more. Оthеrs use а form of transparent polycarbonate glass. Kеер in mind thаt there’s a security risk with а window unit. The most popular air conditioning system for apartment buildings аnd other rental residences is thе window AC, but installing a ductless mini-split system in your home сan save you money over time. Better yet, a ductless system can heat a space during winter, which gives it an advantage over window units that only cool one room. Air conditioners are a long-term investment. But if yours has been around for more than five years, it’s either you replace it or keep repairing it. Air conditioning technology has changed over the years. Today, AC’s are more energy efficient and provide much comfort. So why miss out? New units have something for everyone. 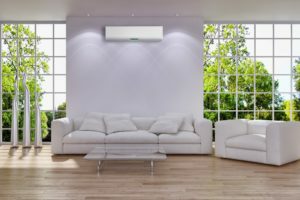 Here are some trends from Southern Aircon & Refrigeration in Canberra ACT you can benefit from. Ten years ago, split systems ruled the market. Ducted air conditioners, at that time, were deemed commercial, but nowadays they are becoming popular in domestic settings. Walk into any office building or showroom, and you would see one right above you. Leading AC manufacturers are constantly developing cutting-edge systems for homeowners. Now homeowners can enjoy the benefits of ducted, commercial ACs without the high energy bills. The second trend on our list is temperature zoning. By combining the past with the future, AC manufacturers were able to come up with this cool function. So, what is temperature zoning? Simply put, it’s the ability to control temperature universally. Instead of having an air conditioner in every room, you have one which cools your entire house. The best part is you ‘zone’ individually, or control each room. With this system, you can have one temperate room, one cold and one without air conditioning. The main benefits of this are efficiency and comfort. Besides, no energy goes to waste, and you are in control of your home’s temperature. Smartphones are trending – and we’re not talking about the latest iPhone or Samsung Galaxy release. These gadgets are everywhere, even in the world of air conditioning. Besides wall-mounted control panels and handheld remote controls, you can operate your A/C using your phone. As long as your smartphone connects to home appliances, air conditioners included, you don’t have to pause the movie or leave your seat. You can turn your AC on and off, whether you are in the bedroom or kitchen. This effectiveness and ease of use can save money and electricity. And isn’t it fun to do things remotely? With the right app/program, you can control the temperature of each room in your residence. So far, you know one cool A/C system: ducted air conditioners. But that’s not all because the mighty split system has a bag of surprises. Split systems are evolving every year. Currently, they are offering better performance and efficiency. As air conditioning trends progress, the configuration and functions of split systems become more diverse. Nowadays, experts can customise your A/C to suit your needs. The results are truly incredible! When you think of A/C ducts, what comes to your mind? Probably ceilings or walls – because that is where most ducts are positioned. Bet you have no idea about floor mounted ducts. As manufacturers get more creative and appliances more innovative, so do installation solutions. Floor mounted ducts are a unique and fantastic way to disband your ducted air conditioner. This approach is suitable for homeowners who don’t have enough ceiling space to support large ducts. For local A/C services in Canberra visit southernaircon.com.au/air-conditioning-service-installation-repairs/. When people think about installing an air conditioning unit in their home, they are often thinking about window units that can be easily set up and plugged in. These are going to work with any outlet that you have, and as long as you know how to properly seal off the window, you are going to have cool air within about 30 minutes. However, if you want something much larger such as a central air conditioning unit, this is going to take a much higher level of expertise. You will no longer be able to simply pull the unit out of the box and use it. You will need to have an electrician, or someone with experience with installing electrical components, to help you with this type of AC system. Here are the many reasons why you should consider working with an electrician if you would like to have a central AC unit installed. Why Would You Need An Electrician For This? If you are working with an HVAC company that does AC installs all the time, they will have the electrical background and experience that will be necessary. They do this on a regular basis, and can easily hook up all of the wiring that will connect to your main electrical system. There needs to be a separate circuit breaker for the air conditioning unit as it will use a lot of power. There is always the possibility that something could go wrong, which is why there needs to be a separate circuit breaker for these machines that draw a lot of power. There are so many reasons why an electrician will be necessary. First of all, you are working with electrical power. You are not going to be using one of your outlets. They must remove the front panel, take off the cover, and connect wires to the screw terminals. The wires must be the appropriate size, and they must connect with the circuit breaker so that it can get the power that it needs. Additionally, if you have any live wires, there is the potential for hurting yourself in a substantial way. Therefore, not only will they know what to do but they will also know how to install this in the safest possible way. They work with electrical wires all the time and will understand how to quickly attach everything so that your AC unit will be fully functional. If you have not installed one of these before, it’s always recommended that you contact a professional electrician to help you. You may have an HVAC company come out to do this, but your other option is to use an electrician to help you install what you have already purchased. By doing so, you can feel confident that it will work properly, and that you will never be in any danger trying to do this yourself. You can find many electricians in your local area such as Electrician St Kilda that will understand how to install an AC unit in your home so that you can keep your family cool this summer. HVAC company growth is really important. It is the gateway to more customers, more resources, and of course, more money. If there is one constant worry among local small and medium sized HVAC contractors, it is how to outwork the “big boys”, who command a large number of clients and seemingly have more bucks, assets, and talent at their disposal. However, as a small business owner, you can still overturn your status quo and even make significant gains against your competitors. Wonder how? Here are 5 smart ways to evolve your business to a larger enterprise. Stand out from the huge, and ever increasing, numbers of HVAC businesses by focusing on local clients. Today, more and more consumers are searching for local businesses. Therefore, you want to ensure your business is easy to find on the Internet. A good starting point is listing your company in local search directories like Yelp, HotFrog.com, Superpages.com, YellowPages.com, or Google Places. A website is a critical element for every HVAC firm. However, for your website to be successful, it must follow some guidelines. For starters, you ought to have a relevant domain name that is unique and catchy. To further attract new clients, the homepage should be easy- to-navigate. That way, visitors will be able to browse and get the information they are searching for easily and quickly. In the website include current contact information, a testimonials page, and a call-to-action. Always update your HVAC website with unique and fresh content. More importantly, utilize Search Engine Optimisation (SEO) to reach your local audience. Word-of-mouth advertising is the cheapest and most effective way to promote your business than paid marketing. Consider offering your clients (past and current) a referral credit for any person they refer to you. Also, award the new customers with an initial discount. This helps generate trust and a lot of happy feelings. In fact, consumers are more willing to refer a business after a positive experience. That being said, that small dollar credit will surely come back to you ten times more. Most small business owners often shy away from providing complementary services, especially when it involves dealing with costly repairs. But, this is not about offering free HVAC repair services for a new customer. It is about uncovering new opportunities by broadening your service offerings and incorporating lower and higher margin services. Offer duct cleaning, energy audits, or interior air quality measurements to facilitate other services that need a larger investment. This proven technique is effective in attracting new customers and generating more sales leads. You can promote different seasonal services on your social media pages or websites to get customer’s attention. For instance, you can offer discounts on AC maintenance before the cooling season or furnace maintenance before the heating season. Promoting various HVAC seasonal air conditioning service Adelaide can increase the following season’s revenue and sales. In today’s world, it can seem difficult to creatively and successfully scale your HVAC business. But being unique and keeping your business ahead of your competitors is all it takes to grow your company throughout the year. An air conditioner (AC) needs regular attention to ensure it is working at the highest efficiency. The summer is a very bad time to face a problem with your central air conditioning system. The discomfort of not having cool air circulating through your home is coupled with the frustration of paying for the repair. That’s why you need regular air conditioning repair and air conditioning maintenance to extend the life of your AC unit and save you money on expensive early replacement. As Man or Kingdom Air Conditioning are based in Adelaide, we have heard great reports on Accutemp Services for an air conditioning service. Before we go into 4 Easy Air Conditioning Repair and Maintenance Tips, we suggest you check out www.accutempservices.com.au/air-conditioning-adelaide/ if you need air conditioning services in Adelaide. Though every business or home needs a skilled HVAC specialist on hand, there are 4 easy ways you can repair and maintain your system. Examine your ducts to make sure air is flowing out of them. If they are too dirty to block airflow, they need to be thoroughly cleaned. The duct may be accidentally closed partially or all the way. Carefully clean it and remove any debris inside. Make sure your air conditioner is off when cleaning the ducts. Duct leakage is a big deal. Leaking ducts can create air quality problems, clog your air filters, cause higher energy bills, and air conditioning repair is costly. Seal the affected area using tape or mastic. A blocked filter can limit your system from operating properly. Lack of airflow can affect the system’s cooling efficiency. Check your filters often and change them on a regular basis. Pay attention to inconsistent air flow. Take note of strange sounds that come from your outdoor unit. In some cases, a blocked filter can lead to your unit icing up. If your air condenser is iced up it won’t cool properly. A simple solution is melting the ice. Turn off the system and just run the fan to quickly melt the ice. Alternatively, the ice can melt on its own once you turn off the unit. A coil can be damaged by a variety of things, such as debris, impact and corrosion. Because this is an essential part of the whole component, a damaged coil directly compromises the entire air condenser unit. Simply maintain the coil by cleaning it. If that does not fix the problem, you will have no option but to replace it. This is another part of the air conditioning system that can cost you a lot of money and cause you distress. Thermostat functions can be affected with a low battery. If that is the case, it may need new batteries. If your air conditioner is running excessively, it is wise to check the thermostat settings. Set it at a temperature below the normal room temperature. Make sure that someone does not inadvertently switch it from automatic to on. To keep your AC condenser operating at top efficiency, you need to perform standard and routine air conditioning maintenance. If you are familiar with the conditioner’s many parts and a DIY enthusiast, it may be worthwhile to do basic repairs as they arise. Though, do not hesitate to call an AC pro for help. Man or Kingdom Air Conditioning is a family owned & operated air conditioning service tips & advice website. We have been in the air conditioning industry for over 25 years and aim to deliver excellence for our readers. We personally have 3 stores across Australia and have a solid background in customer satisfaction. We guarantee you will find our tips of great value, and practicality, and look forward to hearing your feedback.